Our Inter-modal staff ensures peace of mind and tailor made solutions for client's consignment at competitive rates. 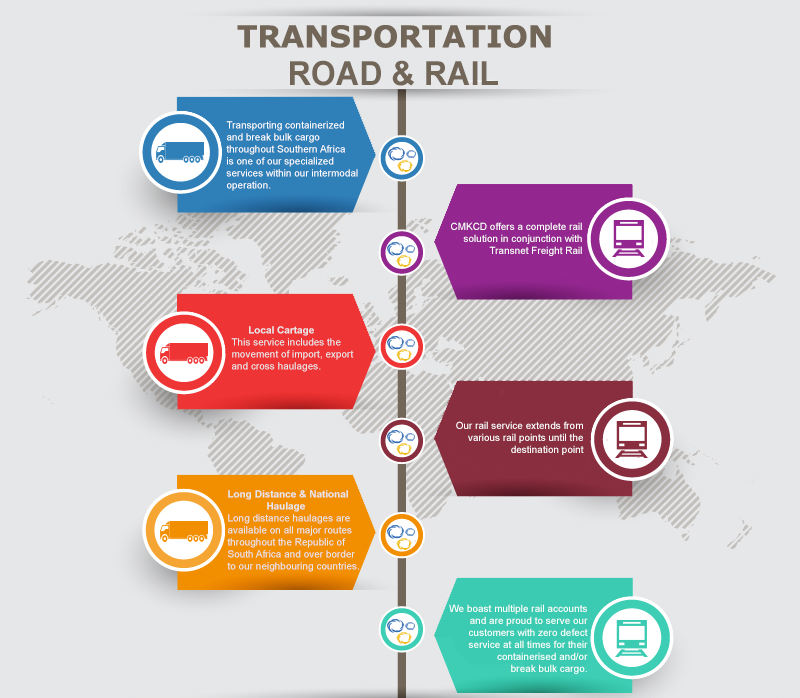 Our services include, but are not limited to railage and road transportation, containerized and bulk. Our Durban branch operates 7 days a week for the lodging of documents and to provide tracking. Our Johannesburg branch operates Monday to Saturday, but for value added service, arrangements to accommodate the client's specific needs can be made. Copyright CMKCD 2013. All Rights Reserved.